Porsche has just unveiled the 911 GT2 RS at the Goodwood Festival of Speed. 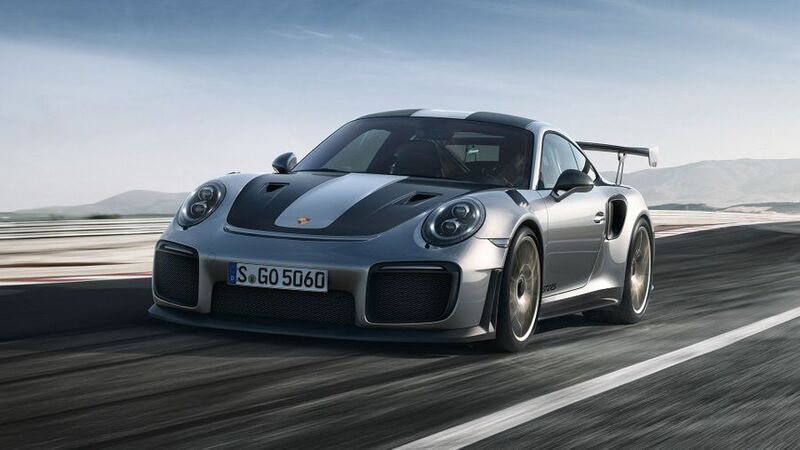 It’s the fastest and most powerful road-legal 911 that the company has ever released. The key to that level of performance is its 690bhp engine; and, in this lightweight two-seater version of the 911, that’s enough to get it from 0-62mph in just 2.8 seconds and go on to a top speed of well over 200mph. The engine is based on the 3.8-litre unit in the 911 Turbo S; but, to cope with the extra power, it’s mated to a customised GT seven-speed dual-clutch transmission (PDK) and works with a specially developed, extra-lightweight titanium exhaust system. 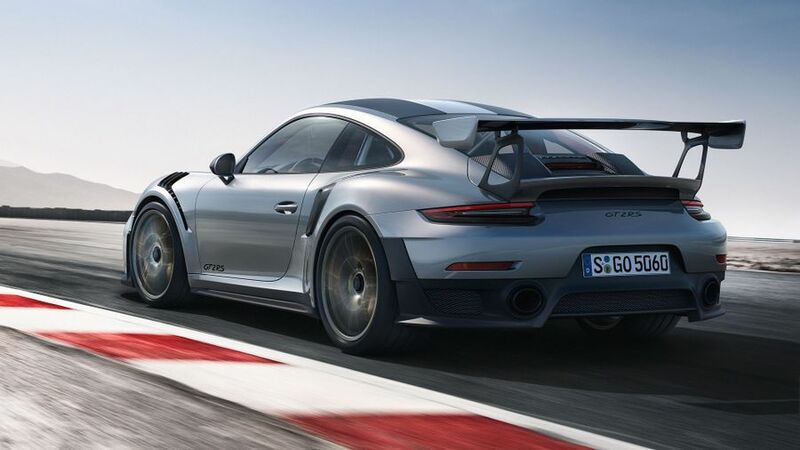 On top of that, Porsche’s Ceramic Composite Brakes are fitted as standard, while a huge amount of work has gone into the car’s aerodynamics – hence the huge rear wing – and many of the components (inside and out) are made of carbon-fibre reinforced plastic to keep the weight down. For the same reason, the bonnet is made of carbon, and the roof is made of magnesium. Also unique to this GT2 version of the 911 is a racing chassis with rear-axle steering and special tyres. It also has a bespoke version of the company’s stability control system, with a Sport mode that is tailored to provide optimal driving dynamics. 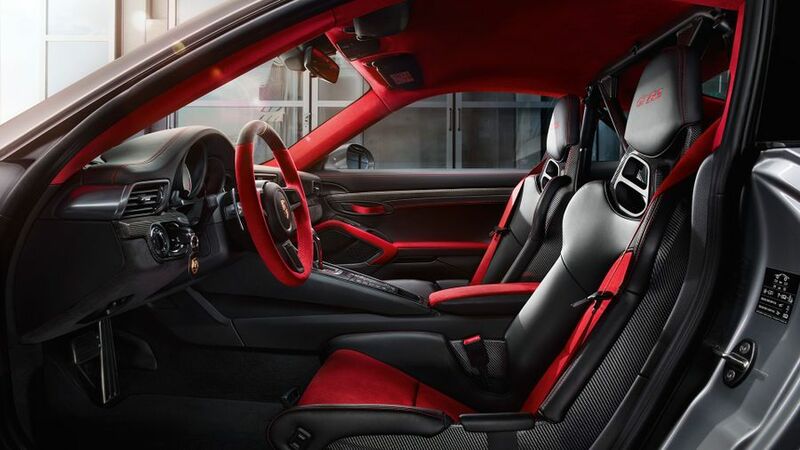 The cabin is dominated by red Alcantara and black leather trim, as well as parts with a carbon-weave finish as standard. And, while it’s undoubtedly a sporty interior, with full bucket seats, the GT2 still comes with the same infotainment system as any 911, including a stereo and sat-nav. Porsche’s Track Precision app is also included as standard, enabling detailed recording, display and analysis of driving data on a smartphone. But, as an option, buyers can also choose the Chrono Package, which can be used to display, save and evaluate lap times on a track. The 911 GT2 RS is available to order now, priced from £207,506, and the optional Weissach Package costs £21,042.